Definitely got to own a fitness tracker. This piece of technology is a mandatory. As if you own a smartphone or a laptop, fitness tracker is the next thing you need. Why would you own a fitness tracker ? First reason is it serves as a motivation tool. I think if you do not like sport, this thing is going to get you up and do some workout ! 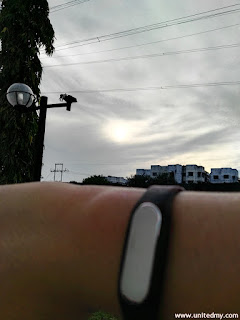 First I thought it was impossible, a person is lazy to do some exercise will never change the bad habit, but, with this fitness tracker it might change everything ! The reason is will you not using a smartphone that you had purchased ? You cant ! What do you think ? This is a daily chart from my personal phone Huawei G8. 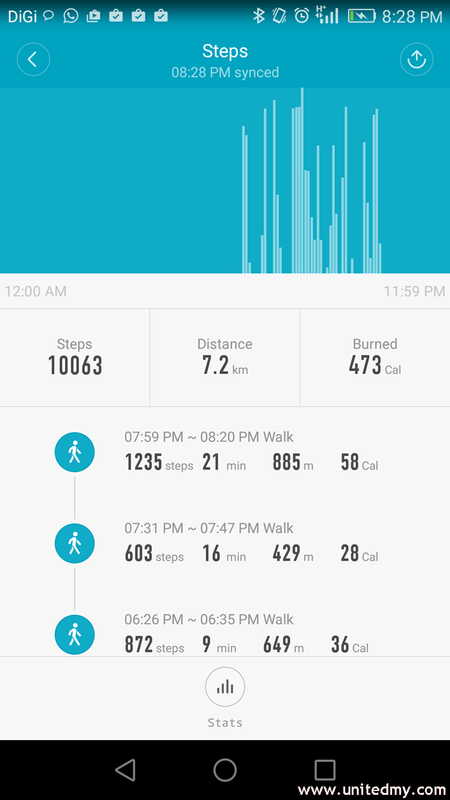 Accumulated 10063 steps was not a easy accomplishment. Guess what I really doing ? I went to so many shopping malls. 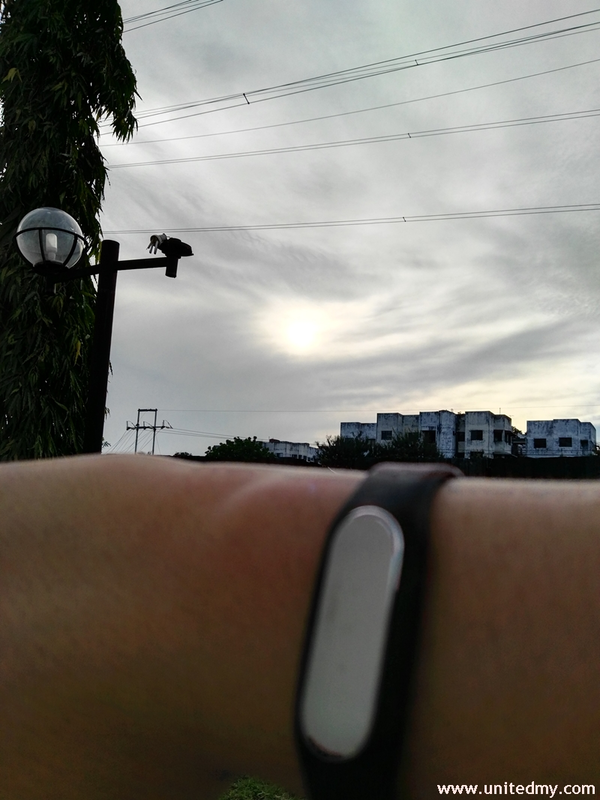 The amazing thing about Xiaomi Band1S. The specification required for your smartphone is Bluetooth 4.0 and KitKat 4.4 and over. 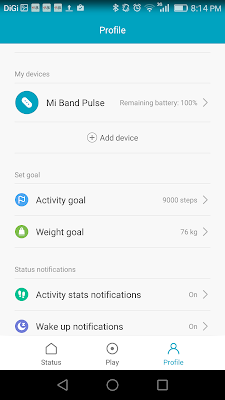 In Google Playstore, download xiaomi band app. 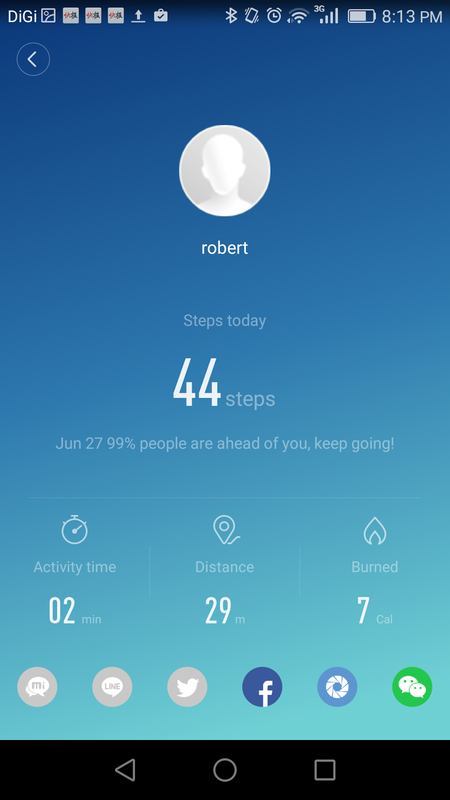 In the app, it enables user to post to their respective social media account such as Facebook or Wechat to encourage friends and family to do daily exercise. 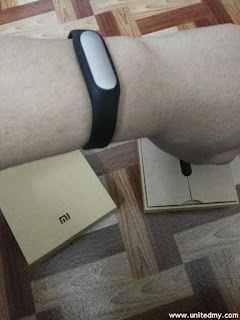 Besides, you will get to know how many people using Xiaomi band 1S are ahead of your miserable result of 44 steps. 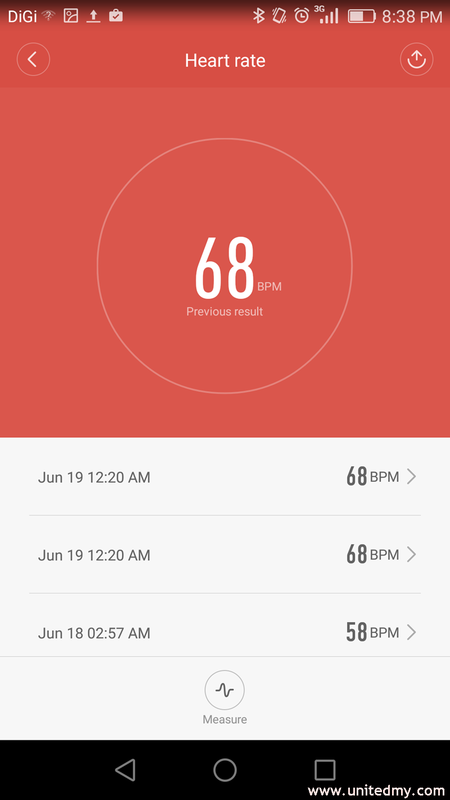 This state-of-the-art fitness tracker enables users to do a monitoring on heart beat rate. Wake Up in the morning and try to get more step points. However, I managed to get 2500 steps point only. 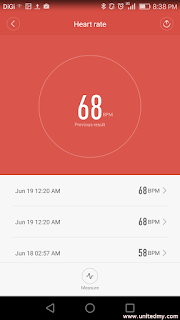 The best part about Xiaomi apps is it is a comprehensive and functional app. I am glad one of the Xiaomi Band1S owner. We are educated that a human should walk at least 8000 steps in a day. But, do we really know how many steps we have accumulated ? 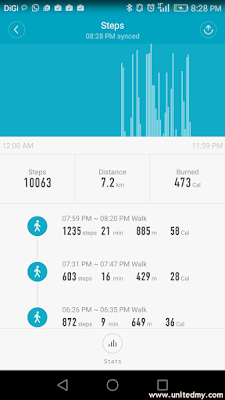 To fully utilize the idea of 8000 steps per day, this tool should be able to help human collecting the steps count. Unless, you want to count your every step. The seventh reason is instead of get a alarm, you could change the centuries-old method of waking human up, the fitness tracker could help to do the wake up call by vibration. 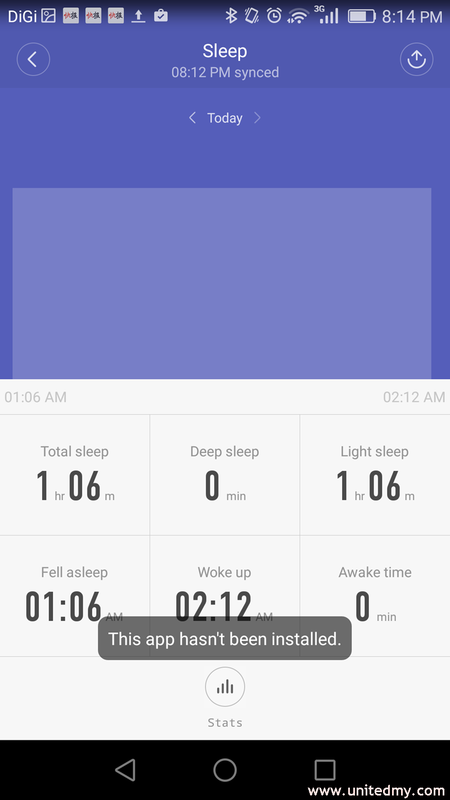 I am terrified it actually can monitor sleeping progress. It such a magnificent tracker. 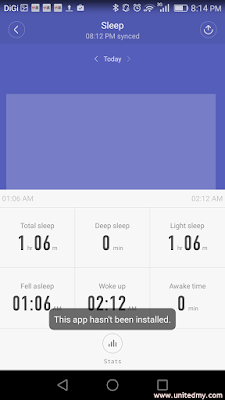 With this, you could tell what time you actually fall to sleep. 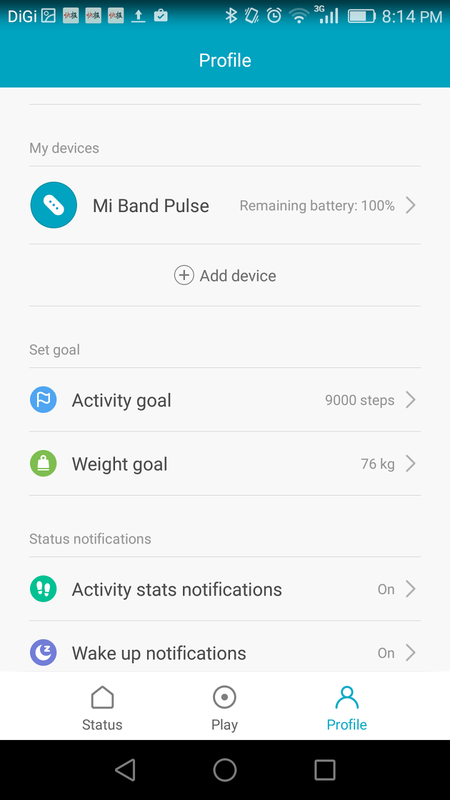 Xiaomi Band1S battery could last for 20 days with a single full charge. Moreover, it could store activity data without the smartphone bluetooth in range. In Fact, it stored all the date long enough for you to reach the smartphone Bluetooth range for the the data to sync into the apps.